This unique series of short, Christian education courses is designed to explore why theology matters in our everyday life and faith. Each course aims to equip believers of all ages to go deeper in their intellectual and spiritual formation by offering thoughtful, in-depth lectures in a format that is accessible, engaging, and relevant. Explore the ways in which science and faith relate to one another with Paul Wallace, a Lecturer in Physics at Agnes Scott College. Take a closer look at common mis-perceptions about the nature and character of the God of the Old Testament. Examine the distinct perspectives of Matthew, Mark, and Luke and the nature of their literary and theological relationship. Learn how to identify and respond to some of the most common - and hurtful - platitudes and cliches in Christian culture. Study the role of music and hymnody in the spread of the Reformation from Luther to the early church in America. The Bible Says It, That Settles It? Examine 12 key perspectives that will help you better understand how to interpret Scripture in ways both faithful and critical. Practice how to engage honestly with difficult biblical texts about violence, holy war, slavery, and gender hierarchy. Rediscover the meaning of these ancient commands and how they have been interpreted throughout the ages. Explore what happens when Christianity seeps into popular culture, including magazines, billboards, and theme parks. 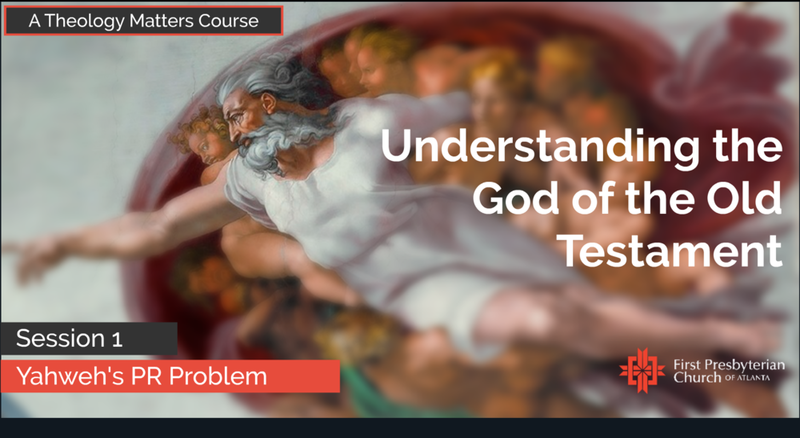 This course offers an overview of wisdom literature, including the unique views offered in Proverbs, Job, and Ecclesiastes. Study the five core theological positions of that distinguished early Protestantism from the Catholic Church. Access content from all Theology Matters courses on our podcast.